Lunches should be interesting and quick but I find you can fall into a rut of the same old, same old. This simple lunch is super easy, super fast and super high in protein. A perfect lunch that hits the spot quickly. 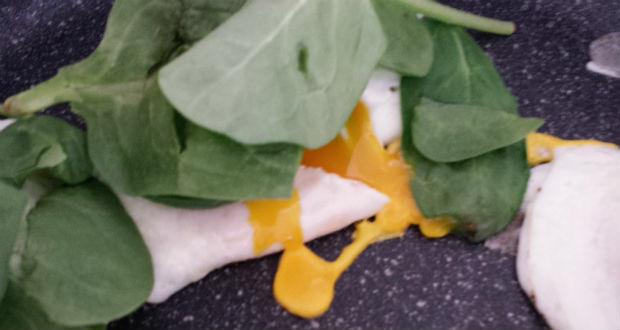 Simply fry 2 large eggs as you like them, slightly wilt the spinach on top and stuff into a High Carb Pita Gourmet pita. Add a splash of hot sauce, hummus or tzatziki and your done! There are 6.7g net carbs and 19.2g of protein in this little pocket of goodness. Enjoy!